Love is in the air! 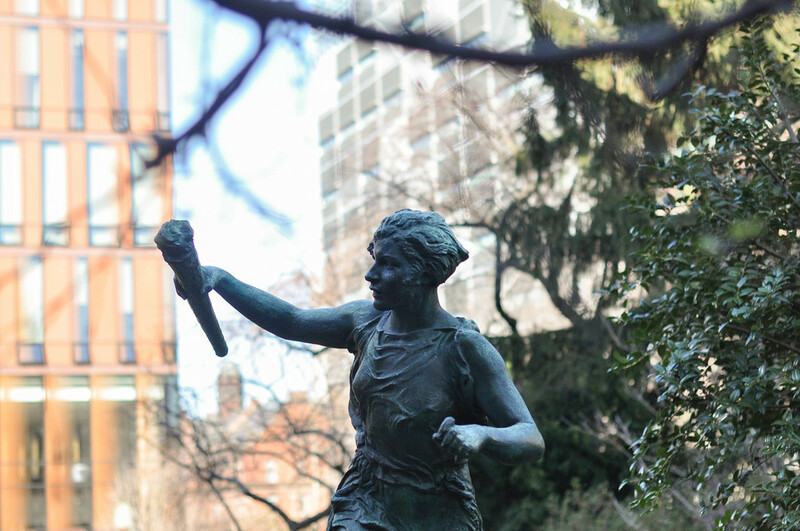 However, for many of us at Columbia, the only thing wafting through the air is the cold that everyone seems to have these days. 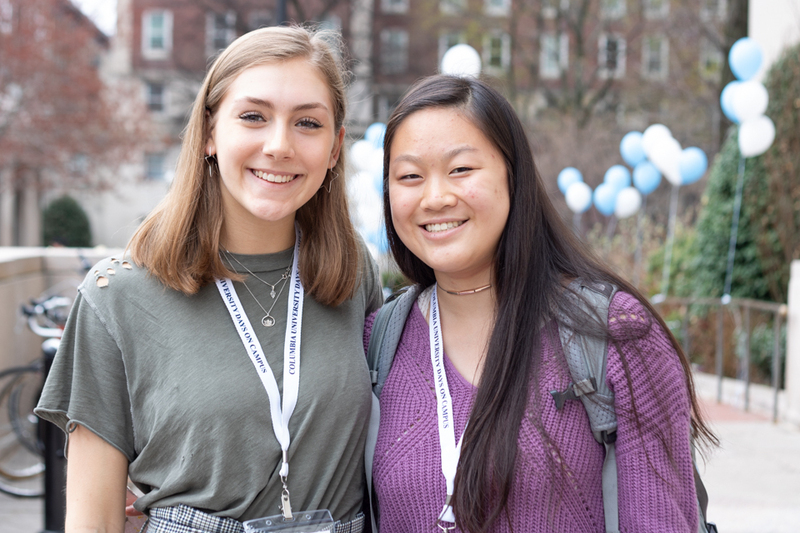 Dating at Columbia is complicated, and finding a meaningful, long-term relationship seems like a miracle to a lot of us. 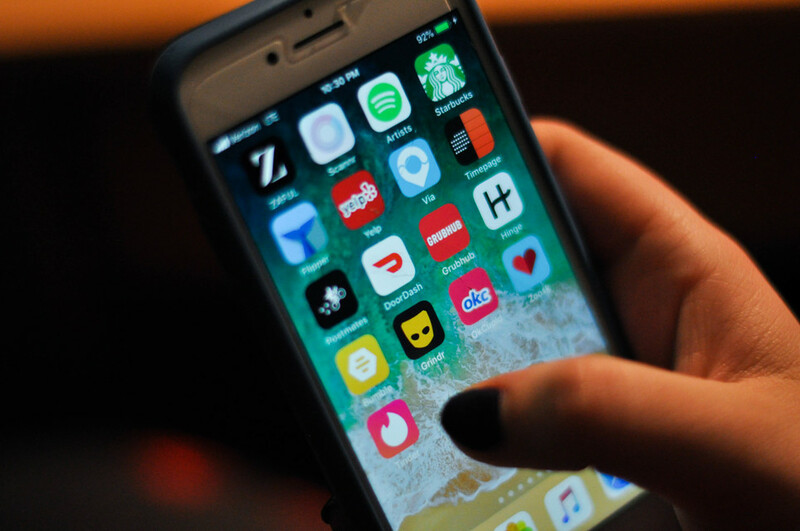 Many have already criticized Columbia’s hookup culture, which has pushed a lot of people to reluctantly turn toward dating apps to meet their significant others. There’s no shame in the dating app game, but some people may be too intimidated to test out all the apps to find the right one for them. Have no fear! Spectrum has ranked the most popular apps on campus using different metrics to help you choose the right one. Dating apps all have different levels of specificity and preferences that you can customize to find your perfect match. Whether you’re really picky about the type of person you’re seeing or you’re down for any type of match, we’ve ordered the dating apps based on specificity to meet all your needs! Hinge really prides itself in being ~different~ from all of the other dating apps around today. Instead of completing a bio, you need to answer three quirky prompts, which will be visible on your profile. You can also choose to display information such as height, education, religion, ethnicity, political views, drinking and smoking tendencies, and even vices. While you can share all these facts about yourself, the app also offers you the opportunity to filter your suggested matches by the same standards. Coffee Meets Bagel is another dating app that’s trying to stray from the stereotypical Tinder-esque interface, as its main goal is to make you spend more time looking through profiles and deciding what you value most. On CMB, men are given a limited amount of matches per day and a limited amount of likes and women have the opportunity to sort through the men who have “liked” them and start conversations. Like with Hinge (but with fewer options), you can filter matches based on gender, age, height, distance, ethnicity, and religion. For the LGBTQ+ community, CMB will match you with one person every day based on the information you shared with the app. 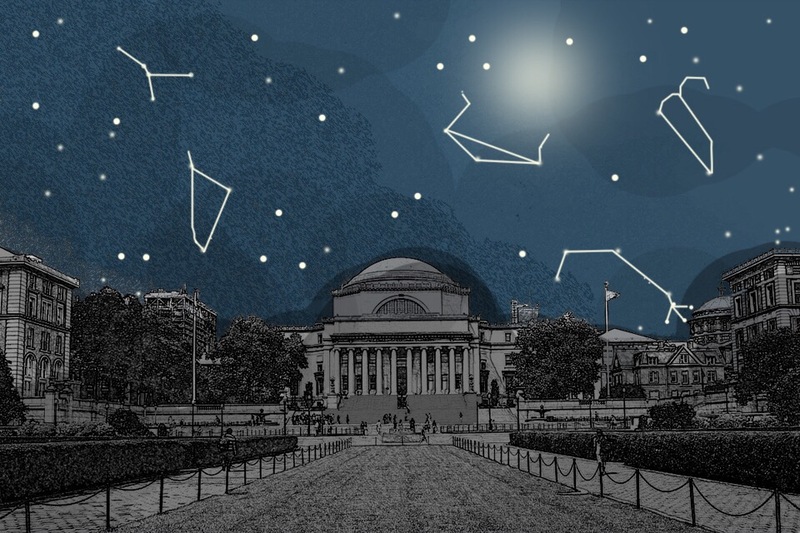 If you thought Columbia was elitist, think again—because this dating app requires you to apply with your Facebook and LinkedIn information in order to start building your profile. After that, you will receive a limited amount of matches per day, based on the information the app gathered from your Facebook and LinkedIn profiles. Apart from the fleeting sense of validation after getting off the waitlist, the app isn’t much different from CMB, as you can filter people based on gender, distance, age, height, ethnicity, and religion. Of course, the people you’ll find on The League will be much more career-driven, so if you’re tired of the average college student, this app should be perfect for you. Bumble is another woman’s choice app like Hinge and CMB, but the only filters you can apply are the genders of the people you want to meet, the age range, and the distance. However, you can put up your own characteristics and make them visible on your profile. That way, you’ll have more information available to you about a person, rather than some flattering pictures and an overkill bio. It comes as no surprise that Tinder is one of the most straightforward apps you’ll find, which is why it’s commonly known as the “hookup” app. Tinder offers you the option to connect through Facebook to upload pictures, but you can also set up your profile manually. You’ll just need to put in your age, gender, gender(s) of the people you’re interested in, and your location. After that, get on swiping! Grindr and HER are very similar to Tinder in terms of specificity and interface. The only difference between these apps and Tinder is that Grindr is geared toward queer men and HER toward queer women. Most dating apps are free to download, but many have in-app purchases that can unlock special features. Whether you’re looking for something completely free, or ready to spend some money to find true love, Spectrum has ranked the dating apps from cheapest to most expensive. Bumble is free when you first sign up, but it requires a membership to unlock certain features. For $4.17 to $7.99, depending on your subscription, you can pay to unlock features that will allow you to see people who already swiped right on you, and also rematch with matches that have expired. With the free Grindr membership, you can see up to 100 profiles a day. However, by paying for Grindr XTRA, which ranges from $3.99 to $9.99 per month, you can view more profiles, see which users are currently online, and use unlimited blocks and favorites. Hinge is free when you sign up, but in order to unlock special features, you can pay from $4.99 to $12.99 per month, depending on the subscription that you choose. With the paid membership, you can send unlimited likes, add additional filters such as political views and drinking and smoking tendencies, and ask questions to Hinge Experts about making your profile better. HER, like Tinder and Grindr, gives you the basic limited swipe feature for free. By subscribing to HER Premium, for $7.50 to $14.99 a month depending on your subscription, you can get unlimited swipes and read receipts. You also get the opportunity to see who has liked your profile and who is online at the same time as you. Tinder is also free when you sign up. However, there are different subscriptions that you can pay for in order to get extra features: Tinder Plus and Tinder Gold. Tinder Plus costs $9.99 per month and gets you unlimited “likes,” extra Super Likes, and the ability to rewind your swipe. For $14.99 per month, you can get Tinder Gold, which gives you all the privileges of Tinder Plus, in addition to a monthly boost where you become one of the most popular accounts in the area, as well as the ability to see a list of people who swiped right on you. The free version of CMB allows you to get a limited number of potential matches every day and chat with members that you matched with. The premium membership, which costs $20 to $35 per month, allows you to view member activity reports and read receipts, and includes 6,000 beans per month. Beans are the currency on the app that you can use to unlock features such as reopening an expired chat and finding out what friends you have in common with a match. Is it even a surprise that this one ends the list? With the elitist vibe comes the exorbitant costs. By becoming a League member, which ranges in price from $29 to $99 per month based on your subscription, you get two extra matches per day, read receipts, the ability to hide your education and work experience, and two VIP passes for friends who want to join the app but don’t want to wait too long on the waitlist. Worth the price? It’s up to you to find out if you’re ready to spend that much on your love life. If you’re looking for something casual and hanging out at Mel’s or 1020 isn’t working out, then you should definitely consider downloading Tinder. You’ll be surprised at how fast you’ll start getting matches, considering the ridiculous amount of people that use the app. If you identify as LGBTQ+, then Grindr and HER serve the same purpose as Tinder, since most people on the apps are looking for casual hookups as well. If you’re looking for a long-term, serious relationship, you should definitely consider downloading Hinge, CMB, or The League. All of these apps are generally used by people looking for something more serious than a casual hookup. If you’re ready to commit, then try those out! Not really sure what you are looking for? If you’re still unsure about what type of relationship you’re ready to commit to, then Bumble is perfect for you! When you sign up, you can choose to specify whether you’re looking for something casual or serious. If you’re unsure, the app offers you the option to display that as well. A wide range of people use the app, so you’ll be able to match with people in the same position as you.